Home > 73 easy cleaning tips that you need to know! We've pulled together some of our best household cleaning tips and tricks to help you get a spotless home for a fraction of the price. Plenty of natural, cheap, quick, helpful and cheerful cleaning tips - using everything from tin foil to vinegar and lemons - that should save you time and money when you clean your home. If Fido and Felix have fluffed up your house and are making you sneeze, there's a cheap and easy solution. A damp washing up glove can easily be dragged over soft furnishings like sofas and curtains (and even trouser legs!) to remove animal fur. Not got any washing up gloves? Using a (clean!) rubber flip-flop on your furnishings will work just as well. It's especially useful if (like us) you're constantly losing flip-flops and end up with odd ones. Ah coffee - you're the thing that gets us out of bed, and now we've discovered you offer so much more. Smarten up grubby windows without any chemicals – just give them a sweep with a clean coffee filter. It works like magic. Don't throw away those laddered tights! Save money and precious small objects by using the foot of a pair of tights over your hoover nozzle. It will catch any change, hair bands and other bits and bobs before they get sucked away. If your microwave is looking a little unsanitary after one too many food explosions, don't panic - it can be cleaned for free in just a jiffy. Just pop a heat-proof cup of water with half a lemon and its juice in the microwave on a high setting for a minute or two. 1. Leave the mixture in the microwave with the door closed for 5 minutes for the steam to do its work, then easily wipe down the inside of your microwave. The lemon will leave your entire kitchen will smell clean and fresh! It can feel like you're constantly buying new packs of kitchen and bathroom cleaning sponges, and not only do the costs add up, but it's not great for the environment to keep throwing dirty ones away. Get more use from your cleaning sponges by giving them a quick one or two-minute blast in the microwave on a high setting. This will kill off bacteria. Feel like a money-saving magician with this easy-peasy recipe. Just mix four tablespoons of baking soda and a litre of warm water to make a cheap and natural all-purpose cleaner. Use liberally on your surfaces, floors and anywhere else that's in need of a scrub. We love it when we can make kitchen cupboard ingredients into a germ-busting cleaning product. If you're looking for a more natural (not to mention thrifty) way to clean your home from top to bottom, Vinegar is your new best friend. Soak your shower head in a mixture of boiling water and vinegar to unclog any lime scale easily. More vinegar cleaning tips. Baby oil isn't just for smoothing and soothing skin - it's actually a whiz at lifting grease too. If the hood of your cooker, or other stainless-steel appliances, are grubby with finger marks, pop a small amount of baby oil on to a clean, microfibre cloth and give them a wipe. 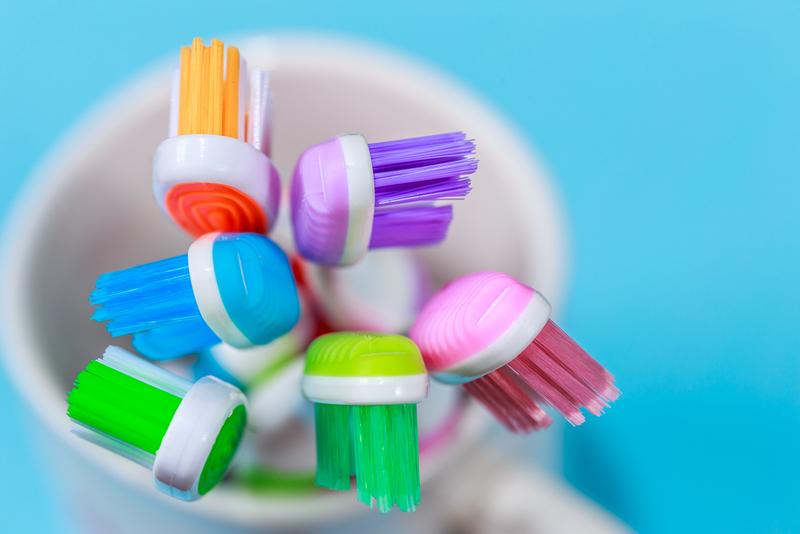 Don’t throw away your old toothbrush – it can be a really useful tool. Give it a rinse in boiling water to get rid of any germs, and use it to get into nooks and crannys that your vacuum cleaner can't reach. It’s especially handy in the bathroom, for cleaning hard to reach areas around the tap or drain. There's nothing more annoying than emptying your bin to find it's still smelly afterwards. If you've got a stinky bin, pop a fabric softener sheet into it alongside the bin bag for an instant air freshener. You can experiment with different scented varieties too. Yet again, baking soda to the rescue! If your trainers or day shoes have seen one too many sweaty walk and are getting a bit niffy, it's an easy problem to remedy. Sprinkle some baking soda into smelly trainers for an instant lift. If the grandchildren have gone crazy with the marker pens on your bannisters, table or anything else made from wood, rub it gently with a little bit of toothpaste to lift off the stain. Then go and give them a good telling off and a nice (easy to erase) set of pencils instead! We don't really think about cleaning our hairbrushes (other than to remove hair) but when you think about it, it makes sense that they get grubby with grease and product build-up, just as our hair does. Get rid of residue from hair spray, dry shampoo or any other hair products by mixing washing up liquid and warm water and giving it a dip. Mix one part white vinegar with one part water to make a basic household spray (great for anyone suffering from allergies as it’s so gentle). Can’t stand the ‘fish and chip’ smell? Add some fresh herbs to the mixture – sage is particularly clean smelling, but you can experiment with anything that's growing in your garden really. Bicarbonate of soda to the rescue yet again! This time it's a marvel for unblocking hair or food-clogged drains. Pour one part baking soda, followed by one part vinegar down it, then cover with a wet cloth as the two react with one another to clean the drain naturally. Wait five minutes and then run some hot water to clear it. Tennis shoes a bit grubby? Trainers not looking as new after a few muddy walks? No one will know they're not fresh from the box with this easy trick. Scuffed white sports shoes can be brought back to life by scrubbing with toothpaste. Slightly minty smell, a bonus. Greasy, food-stained cupboards can be given a new lease of life when you mix up a squirt of washing up liquid with some warm water - it's amazing how much grime will come away on your sponge. Once you've seen it, you'll make sure this becomes a regular on your list of chores! Our chopping boards get a lot of use, from joints of meat and fillets of fish, to cutting up fruit and vegetables most evenings - so it's no wonder they end up looking a bit tired. Lemons are great for lifting stains from chopping boards, as well as removing any smells. Still not shifting? Sprinkle with baking soda and repeat. If you're lucky enough to own some lovely silver bits and bobs, keeping them in tip-top condition couldn't be simpler. Buff up those wedding presents and silver jewellery with a dab of water and a little toothpaste. Rinse and dry with a cloth and it should look good as new. 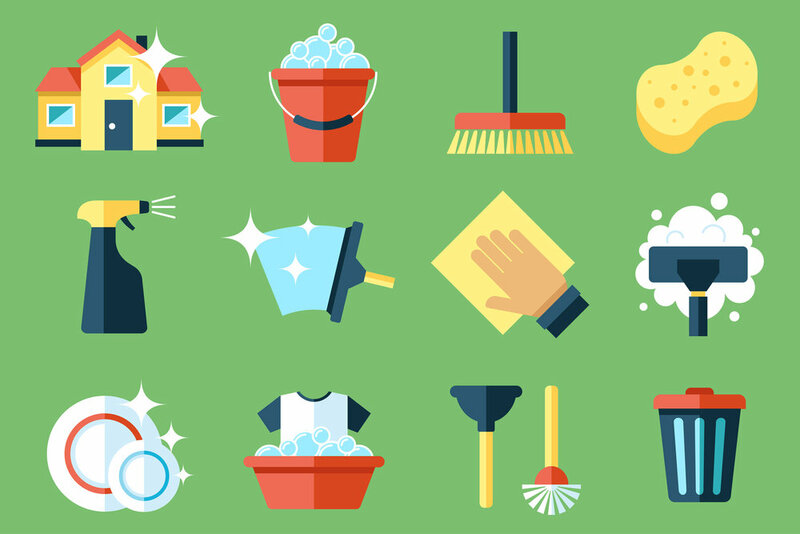 One of the most satisfying cleaning jobs around, we think. If your patio furniture's looking run down after a busy summer, you need to remove any rain staining, lichen and bird poo asap. Add a squirt of washing up liquid to a bucket of warm water and rub down your garden table and chairs. Then give them a rinse with the hose. If your patio furniture has rusted too, dab on some ketchup before rubbing away with a cloth – the rust will lift right off. Then use the rest of the bottle on a delicious summer barbecue! It's so frustrating to stain clothes with food or drink - and why is it that it always seems to be our favourite outfit? Fear not - all is not lost. Rub washing up liquid directly into the stain and then rinse with water – it works on most fabrics including delicate wool or silk, as long as you do it immediately. Copper is having a moment in fashion right now, and copper pans are a gorgeous way to modernise your kitchen. If they get dirty after use, there's a cheap solution hiding in your cupboard. Humble tomato sauce is actually great for cleaning, and will make copper pans shine after a quick rub. Have you scuffed your bannisters with the washing basket, or knocked your skirting board removing your shoes? It sounds weird, but a walnut (without a shell) rubbed onto scuffed or scratched wooden furniture, floors or bannisters will work a treat. Got an unloved bottle of vodka left over from a gathering? If you don’t fancy making cocktails, you can always use it to get your porcelain fixtures shining! Dab some onto a soft cloth and give them a rub. Do you find that sheets and towels get a bit stale smelling while in storage? Get out the bicarbonate of soda again to stop your linen cupboard smelling musty. Leaving an open box of baking soda inside it will mask any smells. If you’ve just spilled a glass of wine – or anything staining – on to your carpet, spring into action by dissolving one tablespoon of washing up liquid into two cups of warm water, and blotting the stain until it disappears. Then sponge the carpet with cold water and blot dry. If you keep waking up your hubby by stepping on creaky floorboards in the night, he'll thank you for trying out this easy trick. Use talcum powder or baby powder to silence noisy wooden floors. Drop some onto the floor and sweep into the cracks, wiping away the excess. Grubby mug? Just like coffee staining on teeth, the answer to your problem is in the bathroom cabinet. Get rid of tea or coffee stains from your favourite cup by rubbing with toothpaste. Then give it a good rinse to make sure your next beverage doesn't taste minty. Keeping your dishwasher in good working order will safe you lots of money in the long-term, and it's easy to do. For starters, shake baking soda onto a damp sponge and wipe it around the edges of your dishwasher to remove any food residue. If you've got oily food stains on a beloved shirt, it can be saved thanks to an unlikely ally. Add a simple cake of coke into your washing machine along with your detergent and run it on a normal cycle. The acid in the drink will help dissolve tricky stains. And that's not all that this humble soft drink can offer in terms of cleaning. Get a grubby loo back to sparkling white by pouring in a can of cola. Let it sit in the bowl overnight, give it a quick scrub with a brush and then flush the next morning for a great effect. Why is it that so many of our favourite foods leave our fridge stinking? 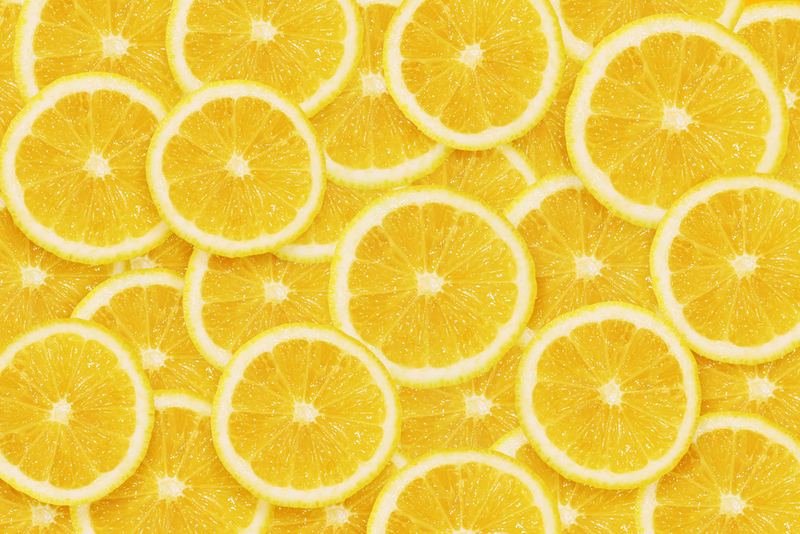 Cut a lemon in half and put one on the top shelf, one on the bottom shelf, to mask any strong smells in your fridge. Burnt your dinner? If the house now smells of burning, just sprinkle some salt over your burnt pans or any food mess to reduce it. Then cut your losses and order a take away! Tin foil has many uses – for one thing you can use it in place of a scourer. Just scrunch it up into a ball and give pots and pans a scrub. It's a great way to recycle your sandwich wrapping, as well as saving you money. Scissors get blunt so easily, especially if you use them to cut paper or wrap presents. But you don't need to replace them. Just use your scissors to cut up a piece of aluminium foil to sharpen them in an instant. 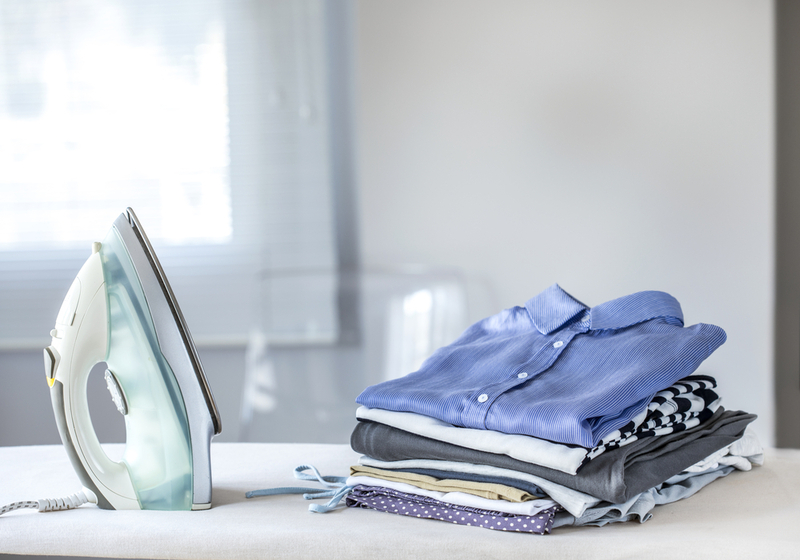 Keep your iron working well by removing excess limescale. Simply heat it up, unplug it and let it cool a little. Fill the reservoir with one part white vinegar to one part water. Leave it for an hour, then empty and rinse. If you’ve got a duff envelope that just won’t seal, or you want to reseal a letter that’s been opened, use a blob of nail varnish to stick it back down. Opt for clear nail polish if you don't want it to look strange! We also like to use clear nail varnish to stop ladders spreading in our tights, so it's worth investing in a bottle to keep in the house. Stop your wooden or laminate floors getting scuffed by chairs or other furniture by cutting tennis balls in half and popping them onto the end of chair, table and sofa legs as floor protectors. As well as having great health benefits, olive oil can be handy around the home. Put a few drops onto a duster and use it to polish your wooden furniture – so much nicer than chemical polish, and it won't cause any strong smells. Got a hole in your tights? Don’t throw them away – give them a wash and then use them as a duster. The same goes for odd socks (which we always seem to end up with, no matter how carefully we wash our clothes). Get tricky-to-reach crumbs and burnt bits out of your toaster by unplugging it and sweeping with a pastry brush. This will help your toaster last longer as well as making crumbs less likely to catch and smell. Stinky washing machine? Run it empty on a hot wash with a cup of white vinegar inside. This will also help remove limescale and mildew, making the machine last longer and clean more efficiently. If you’ve got a dirty iron, remove built-up dirt from the bottom with salt and tin foil. Turn on the iron, and run it over a piece of aluminium foil sprinkled with salt. 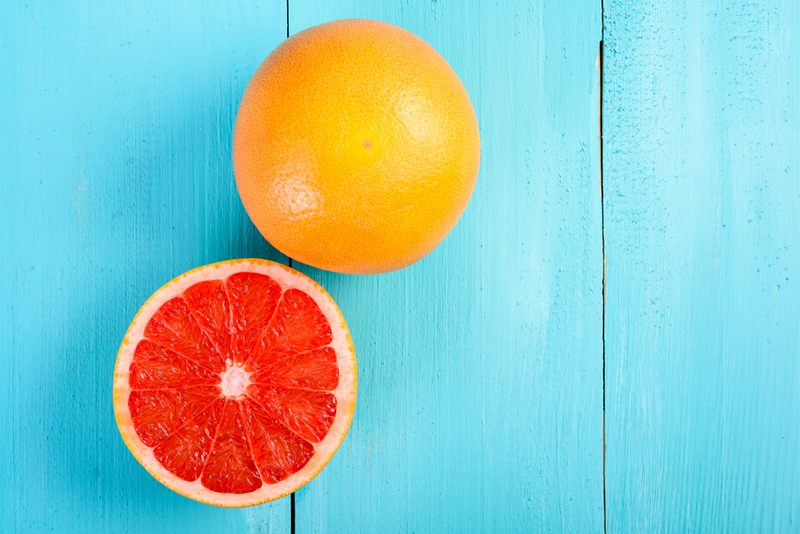 Get rid of water marks or stains in your bathtub by cutting a grapefruit in half, sprinkling on some rock salt and giving it a good scrub. Have the other half for a nutritious breakfast! Clothes moths make us so angry, and once you've got them they can be tricky to remove. Make a natural repellent for clothes moths by bagging up some dried herbs including lavender, cloves, bay, rosemary or thyme and popping it into your wardrobe and drawers. Lacking shoe polish? Use some trusty petroleum jelly to shine them in a jiffy. It's cheap too. If someone hasn’t used a coaster and has marked your coffee table, use a hairdryer on it before wiping the area with a tiny amount of olive oil. Hey-presto - good as new. Blinds can be a magnet for dust, dead insects and floating pet fluff. Get them looking good as new with an old sock. Mix one part white vinegar to one part warm water, and give your blinds a rub with an old sock to remove dust and grime. Pop two cups of undiluted vinegar into a dishwasher-safe bowl on the top shelf of an empty dishwasher and run it on a hot cycle. It should help clear pipes and make it smell better. If your whites and linens have gone yellow or are marked with orange foundation stains, squeeze the juice of one lemon into 4.5l of hot water, and soak your clothes in it for an hour. Then rinse in the washing machine or by hand and dry. There's no need to cry over rusty cutlery - unless cutting an onion makes you weep. If your knives and forks have rusted, stick their ends into an onion a couple of times and the rust should lift straight off. If your plastic food tubs have seen one too many packed lunch or leftover dinners, and are smelling or stained, you don't need to replace them. Simply treat them to a night at the spa! Soak them in the sink overnight in warm water with a spoonful of baking soda, and the next day, after a rinse, they'll look and smell new again. If your grandchildren have been liberal with their sticker book and applied them to walls, doors, furniture or basically anywhere you don't want them, you'll know that peeling them off can leaving a sticky mark. To tackle this, dab them repeatedly with vinegar and leave it to soak for 15 minutes. Then come back with a sponge and scrub the mark off. If you've just given your shoes a good polish, and want them looking spick and span for as long as possible, give them a quick spritz of hair spray and you'll find they shine for much longer. 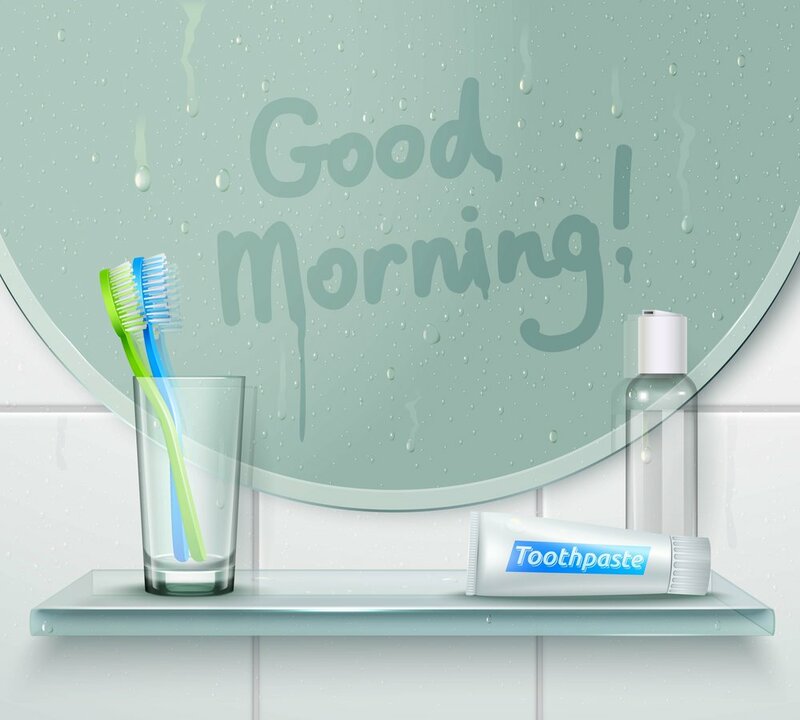 If you get annoyed when, after a hot bath or shower, you can''t see yourself in a misty mirror, toothpaste could be the answer! Just rub your bathroom mirror with toothpaste and wipe clean with a clean, dry cloth before you shower and hey-presto - one easy to use mist-free mirror. It sounds mad, but toothpaste is actually a pretty good substitution for Polyfilla, especially if you're in a hurry. Dab holes in the wall or ceiling with toothpaste, and use food colouring in the paste befoe you apply if you need to match a wall colour. As well as lifting pet hair from your clothes (why do they always love your smartest outfit the most?!) lint rollers are a handy tool for removing dust from lampshades, mantlepieces and even shelves. Just roll it over and hey presto! Grubby blender? These little tools see some serious use in winter, from making hearty soups to blitzing cranberry sauce or even mashed potatoes. All that work can leave them looking dirty, so for an easy clean, squirt in some washing up liquid and a little warm water and run your blender as normal - making sure to pop the lid on first! Then just give it a rinse. How Clean Is Your House star Aggie Mackenzie stresses the importance of keeping your iron in tip-top shape. To remove any excess limescale on an older iron (which will block the steam holes) heat the iron, then unplug it and leave to cool down. Fill the reservoir with a solution of one part clear vinegar to one partwater, leave for an hour or so, then empty and rinse out a few times with clean water. If you've got a leather sofa, jacket or shoes that are a bit scuffed, you can buff them up easily with toothpaste. Just make sure you use non-bleaching or non-whitening paste to prevent staining. Rub it in with a soft cloth then rinse off with a damp one. If you've got an annoying sticky cupboard door, or drawer that makes a noise every time you open it, get things running smoothly again with a dab of Vaseline. It also works to loosen hinges with ease. Remove fingerprints, old food and smudges from your stainless steel pans and appliances with just a drop of baby oil, rubbed in on a square of kitchen roll. It's worth noting that this only works for brushed stainless steel though. If you've sat in chewing gum, or managed to get it on any of your clothes, you'll know what a pain it is to remove. But here's where your kitchen comes in! Pop your clothing into the freezer for a few hours - frozen gum is much easier to pick or chisel off. It's easy for sweat, oil and general grime to stick to a shirt collar and ruin your otherwise smartest outfits. If it refuses to budge int he washing machine, don't get rid of it! Just gently rub some of your normal shampoo around it, give it a little scrub and then pop it back into the washing machine. If your sofa is looking a worse-for-wear, try dabbing a little shaving foam on any stains, leave it to settle, then blot it away to remove the shaving foam – and the stain! Block unpleasant smells from drawers, shoes or bags by filling a coffee filter with baking soda and adding a few drops of your favourite essential oil. Secure it with an elastic band and place it anywhere that needs freshening up! Easily clean the small nooks and crannies in your keyboard or other small electronics by placing the pointed lid of a squeezy ketchup bottle over the end of a vacuum. It will quickly get rid of any dust or crumbs. If the vacuum isn’t getting rid of unwanted animal hair, try using a squeegee as an effective solution on the sofa, carpet, or other delicate upholstery! If you’re worried about your remote-control collecting dirt and bacteria from daily use, try cleaning it with a small amount of hand sanitizer and a paper towel. For extra effectiveness, use an cotton bud to get those hard-to-reach bits between the buttons!